Voki is one of my favourite educational resources that I wanted to highlight and share in more detail with other educators. Voki gives you as a teacher the opportunity to engage students in any topic area through a simple to use and free resource available anytime and anywhere for almost any purpose. I have used Voki’s with students from age 5-13 and they ALL love it and on many occasions I have had students go home and show parents and use them on their own personal blogs or wiki’s. I highly recommend you to give Voki a go – let your students have a play (with a goal in mind) and I guarantee they will come up with something amazing! 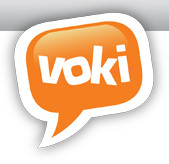 Voki gives you as an instructor to be able to get learners in any subject area through a easy to use and free source available at any time and anywhere for almost any objective.